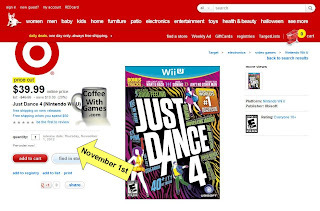 Coffee With Games: Amazon & Target leak Wii U games release dates? 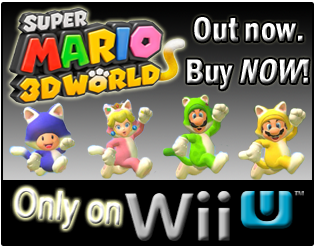 Wii U to release same day in US & UK? Amazon & Target leak Wii U games release dates? Wii U to release same day in US & UK? In just under 12 hours now, Nintendo of America will be holding their Wii U press conference and all speculation as to the system's release date, price, and launch games should be put to rest. Yesterday, as I was writing my, "Wii U - Caffeinated Predictions, Thoughts, & Wishes" post, I was doing research and checking a few sites to see if any had changed release dates early, and I was checking for any Black Ops II information that might have been leaked early. I predicted in my post that went up this morning a Wii U release date of October 28, 2012. I mentioned in the post and prediction I had done some "investigative work" that helped me reach that conclusion, and when I was researching yesterday I spotted the same release date, for three separate Wii U games, on two different retail sites. What Wii U games have been listed with new release dates that aren't apparently just place-holder release dates, perhaps giving us a clue to when the console will release in the US and the UK? Brew yourself some coffee, and let's take a look! First, Amazon.co.uk has Tank! Tank! Tank! listed on their site, still, as releasing on November 1, 2012. The site says, "This item will be released on November 1, 2012." Is it just a default place-holder date though? I don't think so, for a few reasons. Tank! Tank! Tank! isn't the only Wii U game I spotted on Amazon.co.uk with a release date listed. Two other Wii U games, Rise of the Guardians and Ben 10 Omniverse, also have release dates listed, but they are not listed for November 1, 2012. They are listed as November 23, 2012 and November 30, 2012, respectively. The one common factor between the three Wii U games listed on Amazon.co.uk with different release dates is the publisher, Namco Bandai. 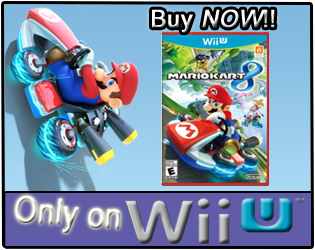 Both the Wii U games on Target.com are being published by Ubisoft, but on other sites have apparent place-holder release dates as December 31, 2012. I think its very interesting that two separate sites, in two different countries, have the same release date of November 1, 2012, but on three different games. If it was a simple place-holder date just from a publisher, I wouldn't expect Ubisoft and Namco Bandai to use the same place-holder date, as December 31, 2012 has been the default place-holder apparently being used by most retailers, probably as instructed by Nintendo. I based my October 28, 2012 Wii U release date based on the history Nintendo has with releasing consoles on Sundays, but seeing a game like Just Dance 4 which will already be out for the other consoles having a release date for November 1, 2012 makes me wonder. Will Nintendo break their history of releasing consoles on Sundays in the US, and instead release the Wii U on a Thursday, that Thursday being November 1, 2012? I guess we will find out in a few short hours, and I'm going to brew some coffee as sleep will probably be rare the next 24 hours for me. 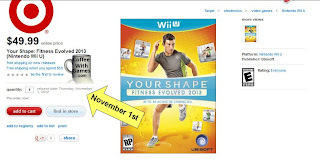 Do you think from the date on Amazon.co.uk and Target.com for three Wii U games being the same, that the Wii U console will be releasing on November 1, 2012 perhaps in the US, and the UK? Also, are any of you staying up for the Japanese Wii U information tonight, and will any of you be attempting to watch the Nintendo of America Wii U conference in the morning? Sounds plausible. Gives then a few weeks to sell before Black Friday. Good find! Yeah, and it allows them to get the Wii U logo out their with Black Ops 2 advertising, Assassin's Creed III advertising, and any multiplatform game that will be supporting the Wii U.